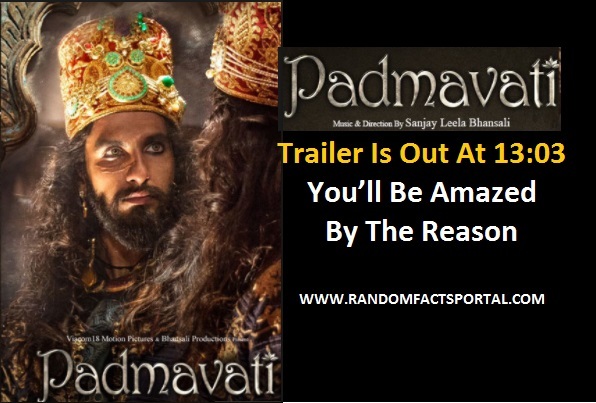 Are you one of them who were excitedly waiting for Padmavati’s trailer, now your wait is over, trailer is released today at 13:03. However, we are fascinated by the unusual way the film makers have chosen to promote their movies so far. 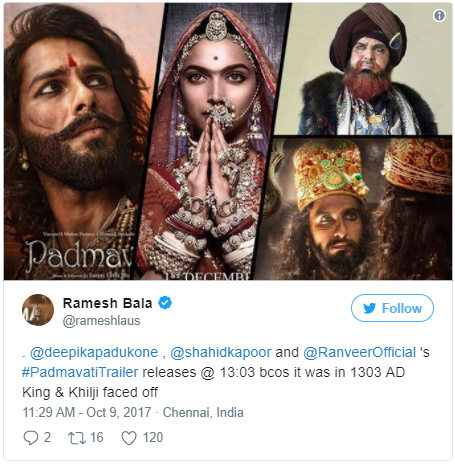 In first they released the first look of actors Deepika Padukone, Ranveer Singh and Shahid Kapoor, and now release the trailer during an odd timing of 13:03, Padmavati Directed by Sanjay Leela Bhansali is surely full of with curiosity and we all are want to watch movie which will release on 1 December. But there is a reason to why the trailer is being launched digitally at 13:03 hour.